Celebrating Irish Easter: 19 Easter Traditions with an Irish Twist! Irish Easter Traditions: Both Sacred and Fun - They Will Light Up your Next Easter Holiday! There are so many things to know about Irish Easter – they range from religious to historical to simply traditional. A wonderful and fascinating holiday! And perfect for expressing your Irish side! Our Easter celebration always includes an egg hunt. In any given year we might decorate the baskets with shamrocks, color certain eggs green or gold (with Irish prizes associated with them) or make liberal use of harp or shamrock stickers in the decorating of the area. That's just us! There are gazillions of ways to bring your Irish side to an Easter celebration. And we'll definitely look at a million of them at least. Meanwhile, please enjoy our favorite Irish Easter traditions here! What (and when) is Easter? In the Christian tradition Easter commemorates the crucifixion and resurrection (three days later) of Jesus Christ. It also represents the end of Lent – 40 days of fasting and prayer. The actual dates of Easter may be anywhere between March 22nd and April 25th in western Christian tradition. This is because the event is defined by the moon, the vernal equinox and … well … it’s complicated. Many cultures share this tradition of course. But do you know where it comes from? In Ireland the Easter egg (and other important symbols such as the hare – or ‘bunny,’ get it?) are actually ancient expressions of fertility. And the idea of an Easter egg hunt actually celebrates a return to the fertile season – Spring! Flowers blooming. Babies being born. Eggs being laid. Land once again becoming fertile. This ancient celebration became connected with Christ’s resurrection and the idea of re-birth. So, remember the Irish Easter egg. We’ll come back to that! Good Friday is an observation of the day of Christ’s crucifixion. Generally, in Ireland, Good Friday is a time of quiet and contemplation. One Irish tradition on Good Friday calls for no work outside the home. That’s the good news! 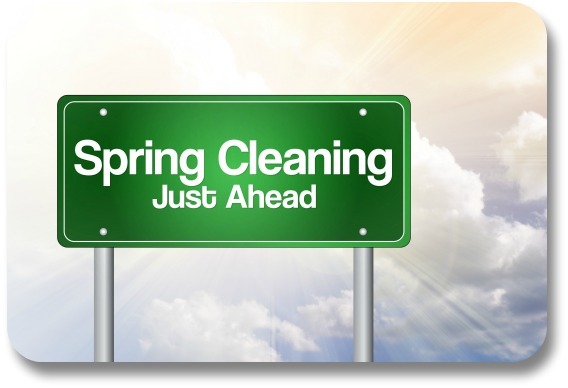 The ‘bad news’ is: it’s very typical for Good Friday (and all of Easter weekend really) to be a time of spring cleaning inside the home. But hang on! There are several other traditions associated with Good Friday that are much more fun! Carving the shape into home-baked bread. Today’s hot cross buns are a reflection of this tradition. Marking any eggs laid on Good Friday with a cross and eating one on Easter Sunday. If you don’t have your own chickens, or they don’t seem interested in laying a Good Friday egg, that’s ok – just buy one, mark it yourself and eat it Sunday morning! 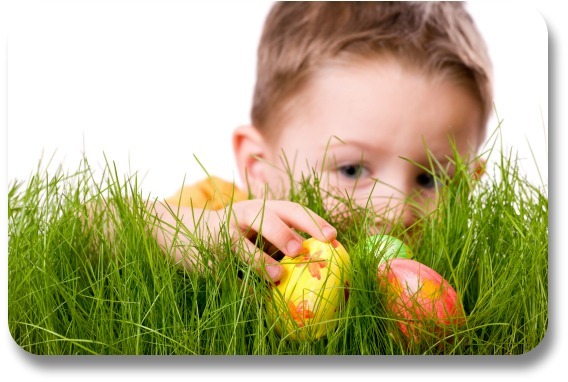 Depending on your beliefs, this day may be a sacred time of fasting and prayer – or it might just be the day before the neighborhood Easter Egg hunt! 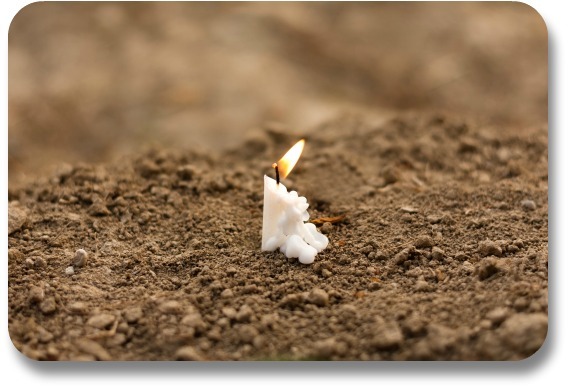 Attend church and observe the hundreds of small candles lit of the Paschal candle that has been blessed by the priest. Drink three sips of holy water for health. Sprinkle holy water on everything for good luck. Prepare and color Easter eggs. Yes, this humble, unsuspecting fish, one of the few sources of protein during the 6 previous weeks of meat-free living, is now the scapegoat (scapefish?) of all that pent-up hunger. Whipping the herring - seriously people?! An Easter Feast, perhaps choosing from many Irish meals and recipes. Have a dancing contest with cake as the prize. A cake is an ancient symbol of celebration in general, and this tradition is probably where the term ‘take the cake’ comes from. Doing stuff with eggs. One tradition is to eat them – and lots of them – since they are not permitted during the 40 days of Lent. I once heard the average Irishman on Easter Sunday consumes six … SIX … eggs. Others include Easter egg hunts and Easter egg races (rolling them downhill for prizes). A cute variation of the Easter egg hunt is to put a note under a child’s pillow with a clue where to find their Easter basket. From there, one clue leads to another until the basket is full! It is probably obvious - at Irish Expressions, we love Irish traditions! Expressing ourselves through Irish-themed activities gives us a deeper sense of connection with Ireland, wherever in the world we happen to be! Over the years, we have created many free, downloadable Irish games, puzzles, recipes, songbooks, travel guides, party plans, and much, much more. These are immediately available to you - completely free of charge. Just answer two quick questions below to get instant access! At Irish Expressions,our our goal is simple: to provide you with a unique Irish experience, on demand, wherever you are in the world. If you have enjoyed our section on Irish trivia and traditions, you have probably been exposed to many of the most entertaining ways to express your personal Irish side! Will that entice you to visit Ireland - or to return if you have already been? We hope so! But even if that is not possible, you can still enjoy the magic of Ireland in these pages. Check out the links at the top of this website for simple instructions on how to sing Irish songs, use Irish words, enjoy Irish food, and much more! Until then - thanks for visiting Irish Easter traditions! Please continue exploring your Irish side at Irish-Expressions.com.